It’s Foodie Friday, and our very own Cewil Ramirez is making us all really hungry with this mouth-watering description of this Dominican mangu recipe. If Italy has its pizzas, Mexico its tacos, enchiladas and quesadillas, Peru its ceviche and Japan its sushi, the Dominican Republic, too, has its culinary king and source of national pride: Mangu. Mashed plantain. Platano Power. For those of you who don’t know Mangu, it’s basically made up of green plantains which are boiled then mashed. Nothing is better and there is nothing in the world like it. If you have any doubts, just ask a Dominican! In fact, the food is so much a part of our national spirit and identity that when some famous Dominican, no matter whether an athlete, artist, musician or scientist, the people say that said famous person has the real and authentic Platano Power . For instance, how else do you think we were the champions of the 2013 World Baseball Classic held in the United States. Want in on our secret? Would you like to experience the rush and thrill of Dominican Platano Power ? Here it is, amigos, the recipe that will have you dancing bachata, swinging a baseball bat and living life like a true Dominican! 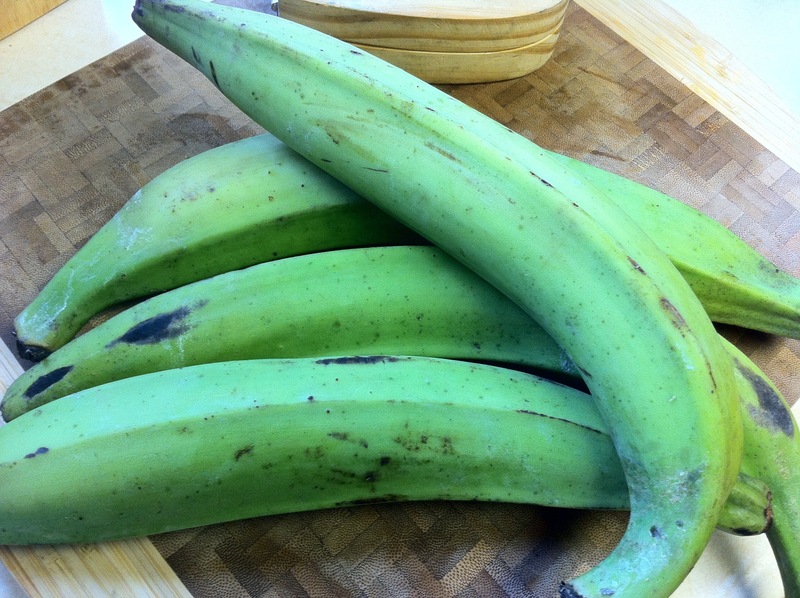 Peel the eight green plantains, quarter them and place them in a covered pot on the stove on high. Once they start to boil, add the salt and a touch and reduce heat to medium. Boil until soft. The whole process should take anywhere from 30 to 40 minutes. Once the plantains are ready, remove them from the boiling water and place them in a mixing bowl. Add a splash of the boiled water and begin to mash the plantains. Add ¾ of a stick of butter. Mash well and add a touch of cold water as necessary. Continue mashing until reaching the level of consistency of your preference. Be careful with the amount of water you add, you’d don’t want your mangu too watery! You can serve the mangu with sautéed red onions marinated in apple cider vinegar or even mix in your favorite cheese or bacon (in the Dominican Republic we use what is called chicharron, or pork rinds). It also makes a great accompaniment for a wide range of plates such as eggs, meat dishes, fish or seafood platters and much more. Let me know after you make it and tell me how well you started dancing bachata! Traveling to the Dominican Republic? Assure your spot in paradise and book your Punta Cana airport transfer as well as the top Punta Cana excursions online with Amstar dmc!